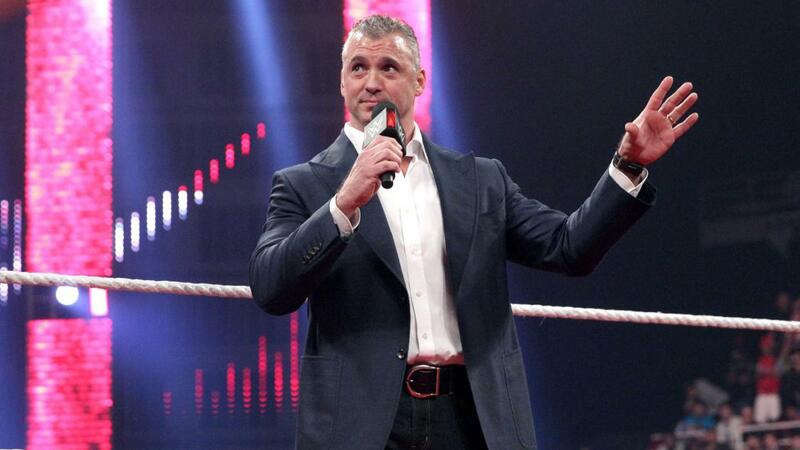 In the wake of last week’s shocking return of Shane McMahon, and the announcement that he will face the Undertaker at Wrestlemania in a Hell in a Cell match, Turnbuckle Radio hosts Trevor Robb and Brian Swane discuss what we might see on tonight’s WWE RAW episode. We also breakdown Brock Lesnar vs. Dean Ambrose and HHH vs. Roman Reigns as we embark down the road to Wrestlemania. Tags: 780 Sports, Big E Langston, Bray Wyatt, Brock Lesnar, Dean Ambrose, Edmonton, John Cena, Triple H, Turnbuckle Radio, World Wrestling Federation, Wrestlemania, WWE, WWE SmackDown. Bookmark the permalink.